We will have Ole Miss in the finals. 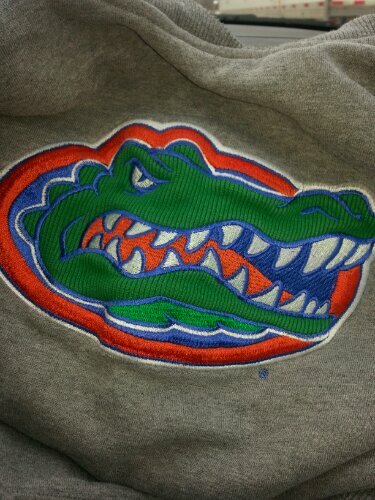 Would like to see our Gator Men’s Basketball team win their fourth ever SEC Tournament today. Florida beats LSU 80-55 for a dominating first round win in the SEC Tourney. A nice win by the #2 Gator Lax team at #13 Dartmouth yesterday. It has been a rough road back, Gator Nation. We have battled injury and inconsistent play this past month. Which made it difficult to watch because this team we have this particular season is special. Today’s game is a huge step for us because we have everyone back at relative full strength and we need good team play at Lexington to build momentum for SEC Tournament play. If we can do one thing especially well today I would really like to see us play aggressive-in your face-on the floor for loose balls-tenacious-full court-masterful TEAM D. That’s what is gonna get us through the SEC Tourney and deep into March Madness….and it must start today. Full disclosure: I will be at the game today so I really really want to see us play good D. We haven’t shot particularly well of late, so if this trend continues our defense will be paramount. It was good to see the seniors go out with a great game versus Vandy. It will be tainted with a poor showing today. Coach Donovan knows this game is very important to the team mindset, particularly in light of UK’s struggles on Thursday against Georgia. It would be easy for the Gators to take this game lightly. It is Senior Day for the Wildcats even though thia brand of Wildcat basketball doesn’t create many seniors. The atmosphere at Rupp Arena will definitely be amped. A road win here will be the best way to finish our regular season and break an assumption that we can’t win big games on the road. I’m amped and I’m walking into the Wildcat’s den. It’s time to play! This entry was posted in Uncategorized and tagged Billy Donovan, Gators, Rupp Arena, Wildcats on March 9, 2013 by TheGatorNarrator. A very nice tribute to the seniors and great read from Alligator Army. Go Gators! Last home game of the season, Gator Nation! Kenny Boyton, Erik Murphy and Mike Rosario suit up for the last time in a Gator uniform at home. Most of us thought Boynton would have been gone two seasons ago. Heck, most of thought Erik Murphy was done after breaking into a car after his Sophomore year. Come to think of it…after last season who’d of thought Mike Rosario would even be seeing the court right now. This may not have been the greatest Gator season ever, but it sure came pretty close because of this group. They have become the face of unselfish play and hard-nose defense. True they have had their moments of lackluster play, but they each bought into what Billy Donovan was selling and it has generated 23 Victories so far this season. Collectively tonight would be their 100th Victory if they beat the Commodores, two SEC Championships, four NCAA tourney berths to go with two straight trips to the Elite Eight….and 3,400 points between them. More than likely we will take a pretty big hit this year when they and Patric Young leave for the NBA or other ventures. We do have them right now and it has been a super season to watch college basketball. I don’t think anyone believes that we can win the NCAA Championship and to talk of it now is ridiculous, but Billy is working them hard to be the best prepared come tournament time. We’ve got our team finally healthy at the right time and these next two games will be critical to the momentum development before the tournaments begin. You can almost taste the anticipation. Vandy will look to spoil the night tonight and they have won three straight and hit 10+ three-pointers in those games. Our defense needs to ratchet up a new level. We’ve been a bit lazy on the floor…especially against a ‘Bama team that was close to knocking us down (Thank you Casey Prather!). It should be an exciting finish to the season. Are you ready for it Gator Nation? Game time is 8pm and you can stream the game on ESPN3 if you aren’t in the South or don’t have the SEC Network. Big plug for the Lady Gator Lax squad. They are now 8-0 after pummeling Loyola last night. Second-ranked and devastating. Woo Hoo! This entry was posted in Uncategorized and tagged Billy Donovan, Commodores, Erik Murphy, Kenny Boynton, Mike Rosario, SEC Network, University of Florida on March 6, 2013 by TheGatorNarrator.